Being a victim of bullying is linked to various social, emotional and behavioral problems potentially leading to a reduced quality of life. Furthermore, victims of bullying may cause extensive costs for society, for example by an above-average need for healthcare services. The present study was designed to quantify the costs and the loss of quality of life attributable to bullying by comparing victims with a control group of non-bullied students. 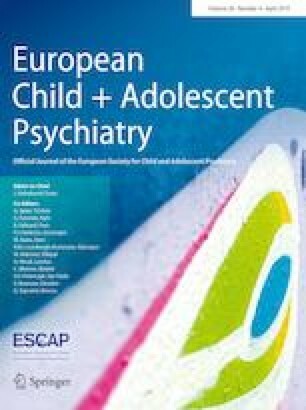 A cross-sectional sample of 1293 adolescents (mean age 14.07, SD = 1.36) and their parents reported on bullying victimization, quality of life (adolescents’ self-report), and annual direct (medical and non-medical) as well as indirect costs (parents’ self-report) from a societal perspective (all expressed in €, year 2014 and 2015). For frequent (20.6% of our sample; costs: €8461.80 p.a.) but not occasional (13.3%; costs: €2850.06) bullying, victimization was associated with significantly higher costs compared to non-bullied adolescents (costs: €3138.00; annual difference between frequently bullied students and controls: €5323.01 p.a. ; p = 0.008). Cost drivers included increased direct medical costs, but mostly indirect costs caused by productivity losses of the parents. Self-reported quality of life of frequent victims was considerably reduced (T = − 10.96; p < 0.001); also occasional bullying showed significantly reduced values in global quality of life (T = − 5.73; p < 0.001). The present findings demonstrate that frequent bullying is associated with substantial cost to society and reduced quality of life of victims. This observation underscores the need for effective school-based bullying prevention and suggests a high potential of effective programs to be cost effective as well. The authors would like to thank all families who took part in the study. Special thanks also go to the Marga und Walter Boll—Stiftung, who financially supported this project. Finally we thank Ramon Schaefer of InnoValHC who assisted in the aggregation of medication resource use and unit cost data. The study was financially supported by the Marga und Walter Boll—Stiftung. The study has been approved by ethics committee of the Medical Faculty of the University of Heidelberg and has therefore been performed in accordance with the ethical standards laid down in the 1964 Declaration of Helsinki and its later amendments. At the beginning of the online questionnaire, parents were informed about protection of data privacy and the anonymity of their answers.